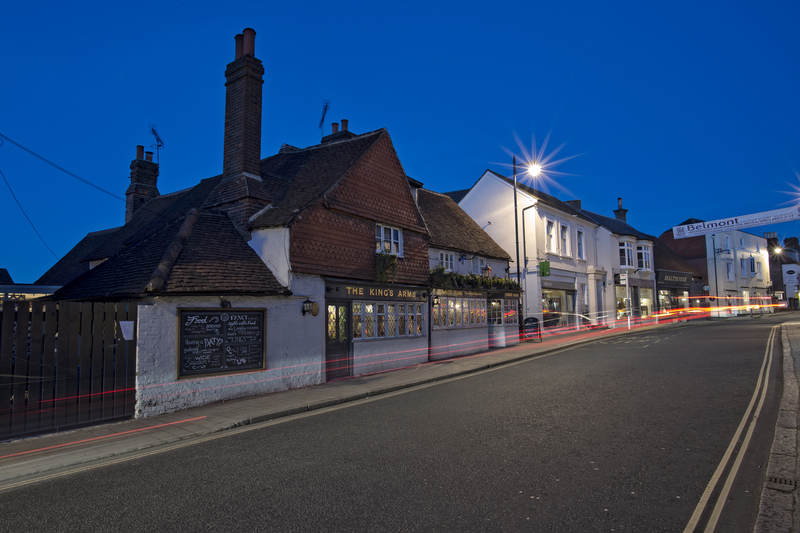 The King’s Arms is situated in the heart of Dorking, an historic market town surrounded by the beautiful Surrey Hills. It’s a blissful spot for walking and cycling, with the pub close to Box Hill on the outskirts of the town. Dorking itself has a host of leisure facilities including Dorking Halls, a cinema and live entertainment venue. There is also an extensive shopping centre, boasting popular High Street names alongside specialist, individual outlets, with antiques a particular speciality. A host of other great visitor attractions lie just a couple of miles from the town - with The King’s Arms a great choice for thrill seekers looking for a pub near Chessington World of Adventures. The venue has three cinema screens showing the latest releases seven days a week, and also offers a varied programme of live entertainment including comedy, music, ballet and opera. All ages will enjoy visiting the Chessington World of Adventures Resort. The theme park has more than 40 exciting rides and attractions, along with a zoo and Sealife centre featuring more than 1,000 animals. England’s largest vineyard, with a site of more than 260 acres, Denbies has won multiple awards since it was founded in 1986. It offers a tour and wine tasting experience and also has two restaurants and a gift shop. This working farm has lots of friendly farm animals to meet, a host of activities including pony rides and goat milking, and indoor and outdoor play for all ages. Wisley is one of the Royal Horticultural Society’s (RHS) four main gardens in the UK. It holds the largest cultivated plant collection in the world, with close to 25,000 plant varieties.